You won't believe how amazing these Paleo desserts are! They are all gluten free, and great for enjoying the holidays without feeling--or being--deprived! Many are also GAPS Diet legal (you may need to omit a starch ingredient, or swap honey for maple syrup or another sweetener to comply with GAPS, but that is usually easy). I have rounded up a collection of tantalizing treats for you from many of my favorite food bloggers. Enjoy! Pumpkin Bar Recipe from Wellness and Workouts. Pumpkin Fudge Recipe from Wellness and Workouts. Pumpkin Chocolate Chip Cookie Recipe from Wellness and Workouts. Pumpkin Pudding Recipe from Wellness and Workouts. Coconut Love Pumpkin Pie Bars from Nourishing Time. Perfect Pumpkin Pie Ice Cream from Health Starts in the Kitchen (use date sugar in place of coconut sugar to make this GAPS legal). Pumpkin Chia Pudding from Health Starts in the Kitchen. Paleo-fied Pumpkin Pie Bars from Life Made Full (omit the tapioca or arrowroot starch to make this GAPS legal). Paleo Apple Butter Pumpkin Pie from My Heart Beets (omit arrowroot to make this GAPS legal). Silky Pumpkin Pie from Health Nut Nation (substitute honey to taste for stevia to make this GAPS legal). Pumpkin Pie Spice Bliss Balls from The Urban Ecolife. 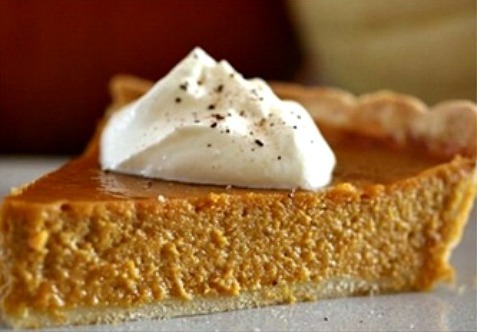 Pumpkin Pie with Gluten Free Flax Crust from Stacy Makes Cents (use home made sour cream instead of heavy cream and sweeten with honey to make this GAPS legal). Pumpkin Pie Smoothie from Healing Cuisine by Elise (use honey instead of stevia, and omit the optional oats to make this GAPS legal). Here are a several apple dessert recipes... yum! Best Apple Crisp Recipe by Wellness and Workouts. Cranberry Apple Crumble by Wellness and Workouts. Recipes with Apples Round-Up by Wellness and Workouts. Really Easy Apple Crisp from The Sour Path is the Sweetest. Grain Free Apple Pear Crisp from So Let's Hang Out (use honey instead of maple syrup to make this GAPS legal). Caramel Apple Cheesecake from Healing Cuisine by Elise (substitute honey for stevia to make this GAPS legal). Recipes with Honey from Wellness and Workouts (includes many Gluten Free/Grain Free and Dairy Free recipes). How to Make a Smoothie from Wellness and Workouts (includes many Gluten Free/Grain Free recipes). Chocolate Truffle Recipe from Wellness and Workouts. Chocolate Banana Tart from Strands of My Life. Paleo Chocolate Mousse from Authentic Parenting (be sure to use sugar free chocolate if you want to make this GAPS legal). Honey Coconut Milk Ice Cream with Edible Flower Topping from A Harmony Healing. Lemon Blueberry Chia Seed Pudding from A Harmony Healing. Pecan Pie from Healing Cuisine by Elise (substitute honey for stevia and maple syrup, and omit the arrowroot flour to make this GAPS legal). Grasshopper Pie from Healing Cuisine by Elise (substitute honey for stevia, and make your own chocolate chips to make this GAPS legal). Honey Toffee Shortbread from The Sour Path is the Sweetest. 70 Grain Free Desserts Round-Up from Health Nut Nation (you may need to adjust some of these recipes if you are eating on the GAPS diet).